We sell a wide range of Goethite pieces, both rough and polished. See below for our categories, and scroll further down for information about the stone. This includes mineralogical information and some about crystal healing with the stone, too. Goethite is typically regarded as a fairly uninteresting mineral, a simple metallic looking form of Iron ore. Some pieces, however, can be quite nice, and quality specimens are coveted by mineral collectors. It can form very pretty inclusions in Quartz and Amethyst; when these are quite clear pieces of a good quality they can be excellent collectors pieces. This mineral consists of Iron hydroxide, with the formula FeO(OH). 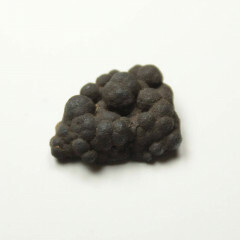 Goethite is typically used simply as an Iron ore. It is smelted to produce Iron, which is then usually converted to Steel. It is likely that Goethite has been smelted for a long time, as it is commonly found as ‘bog Iron’. Bog Iron was used by the Norse Vikings to make their excellent quality swords, which were made of some of the purest quality Iron in the world at the time. As an iron ore, it has been used as a dye or pigment since antiquity – the oxidisation of iron causes a strong red colouration which may be desirable in certain cases. 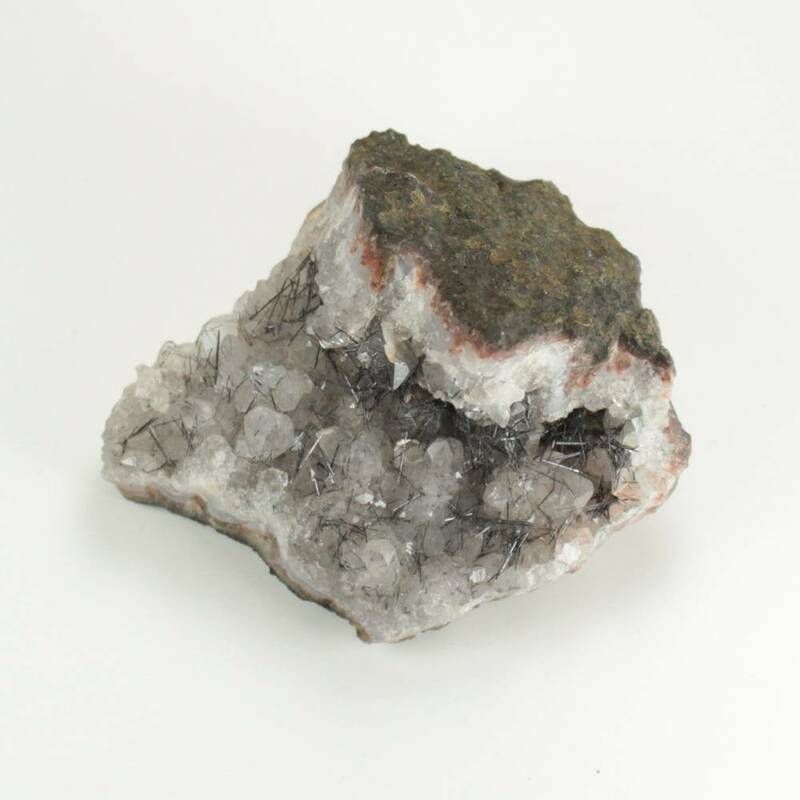 Some high quality pieces are desirable as a mineral specimen, and are highly sought after by mineral collectors. However, these pieces are not common, and not an average reflection of most Goethite pieces. Some pieces may be carved and polished, into small decorative objects, cabochons, or beads. The stone does take a great shine, so can make an attractive display piece easily. The mineral is named after a famed German politician, poet, and philosopher called Johann Wolfgang von Goethe, who was a mineral enthusiast. As mentioned above, this mineral was used since ancient times as a brown/red pigment. It was used in the cave paintings in the world famous Lascaux cave system, estimated to be around 17000 years old. A tomb was found in the ancient kingdom of Phrygia, believed to be that of King Gordias, father of the legendary King Midas. His burial shroud had been dyed with a dye containing Goethite. The Norse peoples known as Vikings likely used Goethite as a source of Iron, as it often occurs as bog Iron. Goethite occurs all over the world. Very large deposits have been found in Australia, England, Cuba, and several US states. Goethite is around 5-5.5 on the Mohs hardness scale, and has a brownish yellow streak on ceramic testing plates. It is typically a flat coloured semi metallic mineral, which feels like it weighs more than it should. It has a specific gravity of 3.3 to 4.3. The first one is simply to leave the mineral in water! If it begins to show rust, it’s likely an Iron ore or contains some amounts of Iron. The other is to polish a small section of the stone with sandpaper; a metallic shine gives you an idea. A streak and/or specific gravity test should give you some indications, too. It is typically associated with Quartz, Calcite, Hematite, and other several other metal ores. It can commonly be found as an inclusion in Quartz and Amethyst pieces, with lots of nice specimens from Brazil and Morocco. One of the most obvious hazards with this mineral is rust. Iron will rust when exposed to moisture, and this mineral is no different. Do not leave pieces anywhere wet! Iron or other contaminants may leach from the specimen into water, too. This ore is found in a few different formations, depending on how and where it was formed. It can occur in reniform, botryoidal, or stalactitic crystal aggregates, which can comprise of radiating or round, ball like crystals. It also occurs in concretions, veins, oolitic forms, and bog iron. In some cases, extremely unusual shapes can be found. These are caused by Goethite forming a pseudomorph (replacement) of other minerals, without changing the shape they were originally in. Bog Iron, Bog Ore, Gothite, Iron Ore, Wood Iron. 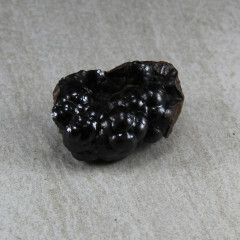 Goethite is often sold untreated. The only typical treatments are polishing, and in some cases, sealing. Sealants may be used in order to stop the mineral from rusting or leaching Iron. However, this is not common. We offer some collated information on crystal healing and metaphysical uses of crystals below. However, we believe crystals and crystal healing should be used alongside medicine and treatment options, not instead of them. Crystal healing is a great way to keep a positive mindset during hard times, and it may complement any other medical treatments you are undergoing. With the exception of an allergy to a stone, or mishandling a toxic or poisonous stone, there should be no reason reiki or crystal healing can’t be done alongside traditional medical procedures. This mineral is meant to help you gain a deeper understanding and connection with the Earth itself. It can be a good stone to carry if you have been affected by changes in your environment, especially the natural environment. It may make you feel safer in unfamiliar areas and places. Some people also believe that this deep connection to the Earth may allow them to draw on the healing powers of mother Nature, making this a powerful healing stone, both mentally and physically. We do not recommend making elixirs with this stone. As mentioned in the information above, this mineral can leach Iron into water. You could use an indirect method to make your elixirs, either by placing a glass full of stones into your elixir container, or by placing the stones around the outside of your elixir container. Some people suggest using Quartz points alongside these stones in order to amplify and direct the energy into the water. This mineral is typically used with the base chakra, the earth star chakra, or the root chakra, as it has a strong connection with the Earth. Typically, this stone is associated with the Zodiac sign ‘Aries’.